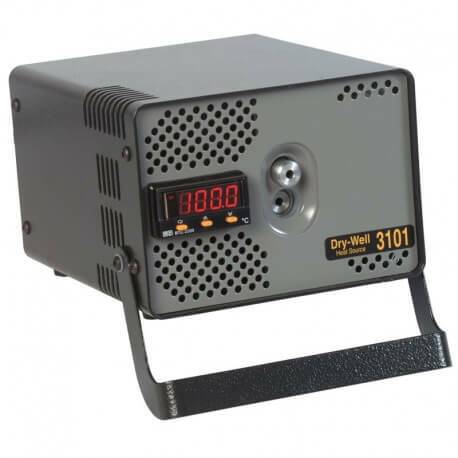 The 3101 series dry well features and easy to read LED display. It can assist with measuring the temperature of thermometers and probes between -10 to 110°C. It has fast heating and cooling times and is easily portable. This unit is built to order, delivery is normally 3-4 weeks. The unit includes two removable wells/inserts both Ø13 mm in diameter. They can accept probe sizes Ø3.3, 4.1, 4.8, 6.4 and 9.6 mm. Each 3101 is supplied with two inserts of your choosing below.